It’s a rainy Saturday afternoon in mid-December of 1986. I’m walking through downtown Dobuita, gathering information about a shifty character who I’d like to interrogate. Unfortunately for me, the tattoo parlor that he frequents doesn’t open for several more hours. Rather than waste my time waiting out in front of it, I head to a local convenience store. While I’m there, I peruse its selection of cassette tapes. There are two new tapes in stock that I don’t own yet. I buy both of them so that I can listen to them later. I also pick up a bag of chips and a package of AAA batteries (just in case my Walkman runs low on power). I then draw a raffle ticket, but don’t end up winning a prize. Afterwards, I head to the You Arcade and spend some of my remaining allowance to play Space Harrier while I wait for that tattoo parlor to open. The events described above are an exact description of what occurred during one of my play sessions of Shenmue. They also perfectly sum up what makes Shenmue so special to me. It was perhaps the first, real open-world adventure game to grace consoles when it released back in 1999. You’re able to explore every nook and cranny of the game’s map (except strangers’ houses) and interact with almost any object. When you first gain control of Ryo, you can rummage through his drawers, pick up and examine anything in his room, and collect items that may be useful later on. When I first picked up a Dreamcast and played it back in early 2011, I was blown-away by how interactive the entire experience was. Keep in mind, I still felt this way even playing it 11-12 years after its initial release. 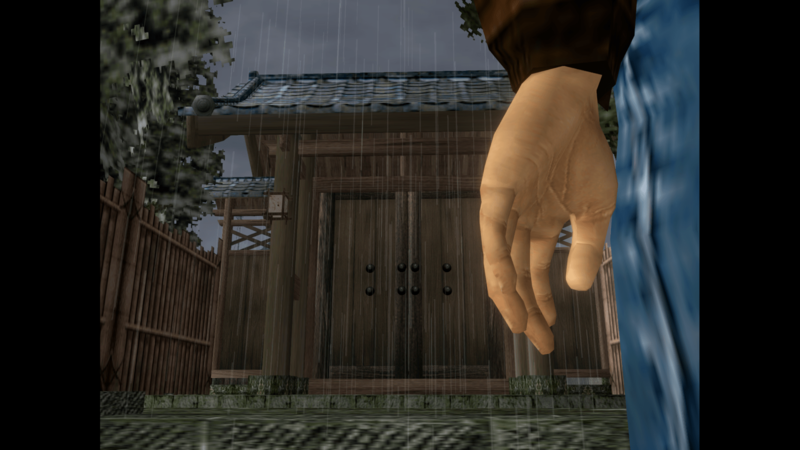 Shenmue is a tale of revenge, following in your father’s footsteps, and exploring the world. Ryo Hazuki’s father has just been murdered at the hands of a martial-arts expert from China. In the aftermath, this man steals a mirror that your father had kept buried in secret. Not knowing what events led up to this incident or who the man responsible is, Ryo still knows exactly what he wants- to avenge his father. He spends the remainder of the first game digging for information, following the murderer’s trail, and doing all that he can to catch up with him. This proves to be a difficult task, but Ryo is both resourceful and skilled as a fighter. Originally intended to be a Virtua Fighter RPG on the Sega Saturn, Shenmue quickly evolved into something far greater and more unique. Yu Suzuki, than man behind both Shenmue and the Virtua Fighter series, wanted to try his hand at creating an RPG. The result was Shenmue, which is more of an action-adventure game with RPG elements. 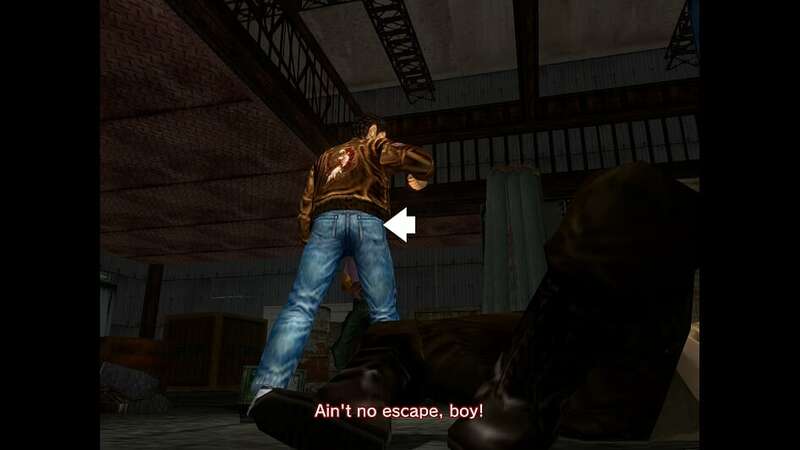 The gameplay in both Shenmue and Shenmue II can best be described at 75% free-roam exploration, 20% Virtua Fighter-style fighting, and 5% quick-time events. Interestingly, Shenmue is considered to be the first game to introduce the concept of quick-time events (QTEs). Despite their overuse in the context of modern gaming, the QTEs in Shenmue I & II are truly challenging and require quick reflexes. Instead of just button-mashing to perform simple actions, these QTEs occur during chases and fights, tasking players with making split-second reactions to respond to situations appropriately. Examples include dodging a blunt object that’s being swung at you by tapping left or jumping over some knocked over crates by pressing A. It took me several years to determine the exact reason why I loved my time with Shenmue. Eventually, it dawned on me. This game (and to an even greater extent, Shenmue II) is essentially a perfect time-capsule of life in 1980s Japan (for Shenmue II, Hong Kong). There is a section of Hong Kong in the second game (Kowloon Walled City) which doesn’t even exist anymore in real life. 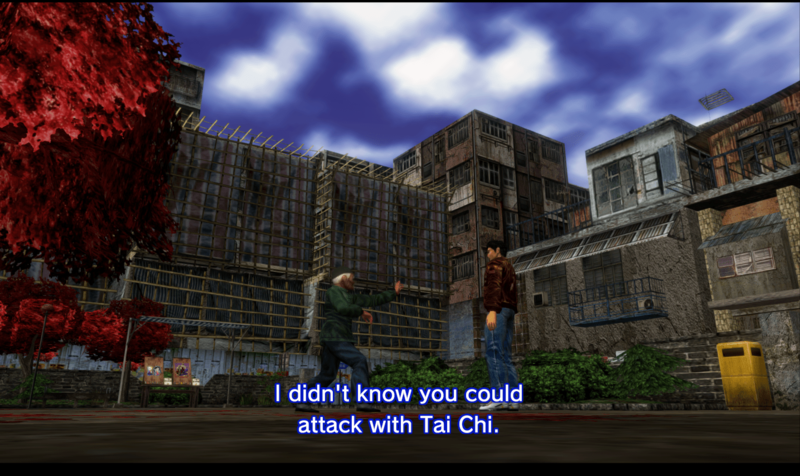 That entire derelict section of Hong Kong was demolished by the local government in 1993, but it remains alive in accurate detail in Shenmue II. The weather cycles in the first game are based on real weather reports for that area from that time period. Even the smallest of details, like storefronts modeled after real stores in Dobuita, make the atmosphere all the more special. It makes Ryo’s journey both daunting and impressive as he is somehow able to follow the smallest trail of breadcrumbs and keep up with the man he is hunting for, all without the assistance of modern technology. I feel that the games themselves should be examined before we look at the ports. The one thing that generally stands out to first-time players right off-the-bat is the voice acting. Regardless of whether or not you choose the Japanese or English voices, they are pretty sub-par. As far as the English voices are concerned, this is partially due to the direction given by Sega AM2 to the voice actors. 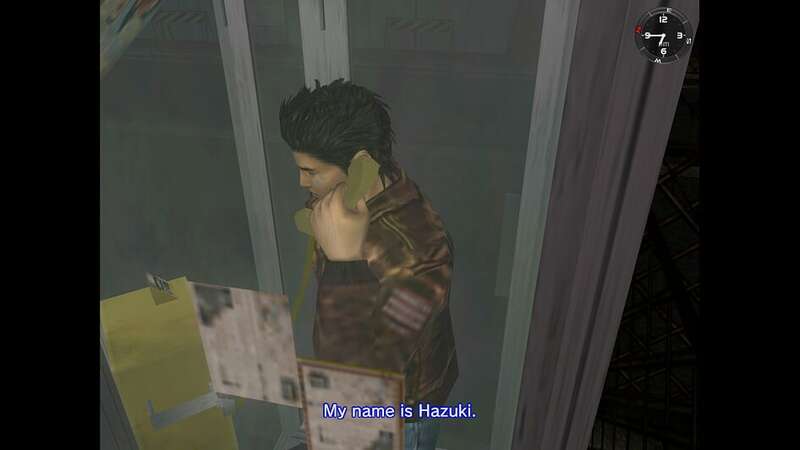 Suzuki and his team wanted the English voices to be done using similar timing and pauses found in the Japanese version. The result leaves a lot to be desired, but the cheezy nature of the dub grows on you as you play. In terms of music, much of it is recognizably MIDI. That being said, I feel that the ambient tracks fit in really well and add to that feeling of exploration and adventure. Visually speaking, the artists tried to make the textures as realistic as possible. Despite character facial expressions being somewhat limited, the textures were (and still feel) very impressive. To see those type of textures in use on the Dreamcast is an absolute delight. Perhaps the biggest improvement in the first game is the replacement of D-pad movement with left analog stick movement. While Shenmue II has always had the option of using analog movement, the original release of Shenmue restricted movement to just the D-pad. The analog stick on the Dreamcast was used for looking around when in 1st-person mode. While you still have the option of using the D-pad to move around in the new release, I found that using the analog stick felt much more fluid and natural. The D-pad was still my go-to during fighting sequences though, since precise combinations are needed to pull of special moves. Speaking of fighting, let’s talk about the fighting mechanics in Shenmue I and II. As I mentioned earlier, the combat is meant to feel like Virtua Fighter. Throughout the game, you learn moves by training (done in real-time by practicing button combinations), reading scrolls, and through verbal instruction from other martial-artists. What I love about the interactions with these martial artists is that they don’t just tell you to “push right on the D-pad, then press X + A”. Instead, they realistically describe to you how to pull off the move and you figure out the button combinations through association. For example, if I’m told to lunge forward, shifting my weight into my legs and using the forward momentum to strike with both arms extended, then I know to press the D-pad in the direction that my character is facing while simultaneously pressing X and A (the arm and leg move buttons). This, combined with the need for daily training to improve the strength of Ryo’s moves, gave me a sense of accomplishment as I memorized how to perform specific moves and watched Ryo become more formidable in combat. So let’s talk more about the HD ports themselves. While the games at their core remain intact and just as mesmerizing as their original releases, there are a number of issues that need to be mentioned. First and foremost, the audio. D3T did not have access to the original audio files to remaster for these releases. Instead, all audio (voices, sound-effects, music) is sourced directly from the Dreamcast copies of the games. The result is a highly-compressed, less-than-ideal audio experience. When using standard television speakers, this issue is annoying enough. If you feed the audio through nicer headphones though, the compression is very noticeable. Having said that, I realize that this issue is not easy for the developers to remedy. If they find a way to remaster the audio and release a patch, I will be a happy camper. Another issue is with the aspect ratio for the scripted cutscenes. While the games now run natively in 16:9 (something the original releases weren’t programmed for), the major cutscenes are still presented in standard 4:3. This (I assume) is due to these scripted events being stored differently than the rest of the game files. If I interact with someone on the street, the aspect ratio is unaffected. If I trigger a major event like a fight, the aspect ratio is forced back to 4:3 until the cutscene is over. These issues aside, there have also been some positive changes introduced in these ports. One such change is the inclusion of at-will saving in the first game. In the original Dreamcast version, players could only save while in Ryo’s bedroom. This made saving a once per in-game day activity (unless you chose to walk all the way home just to save). In the HD port, players are able to save at any point (outside of cutscenes and mini-games). This is both a blessing and a curse. I love being able to save right before big events (like the fight with Chai), but having limited saves in the original made each decision with how I spent my time and money all the more important. This feature also added to the overall realism of the game and now feels lost in the new release. All in all though, I feel that this change was highly warranted. Also of note, players outside of Japan can now finally play the first game using Japanese audio and English subtitles. Prior to the new release, the only option outside of stumbling through the NTSC-J version was to play the Shenmue Undub. This was an unofficial, fan-made release and was far from ideal, having multiple bugs and incomplete subtitles. Having the ability to switch between English and Japanese voices on the fly for both games is definitely a plus and I found myself doing that quite often. Given the amount of exploration and detective work that takes place in these games, playtime will vary a bit between players. Those playing either title for the first time will inevitably invest more time than veteran players. As for myself, I still tend to spend extra time exploring, collecting things, and playing mini-games. This time around, my total playtime for Shenmue was around 20 hours (give or take). This seems to be a pretty on par with many of the other playtimes that have been shared online. As for Shenmue II, this playthrough took between 25-30 hours. Since the Xbox copy does not track overall playtime, it’s hard to give an exact here. What is nice about playing on Xbox though is the addition of achievements. Even after you finish playing through both games, having special achievements tied to certain events and side-quests gives you more of an incentive to play them again. The same can be said for the achievements in the PC version and the trophies on PS4. Shenmue and Shenmue II are both (in my mind) masterpieces in their own right. Having said that, they are also very different games. 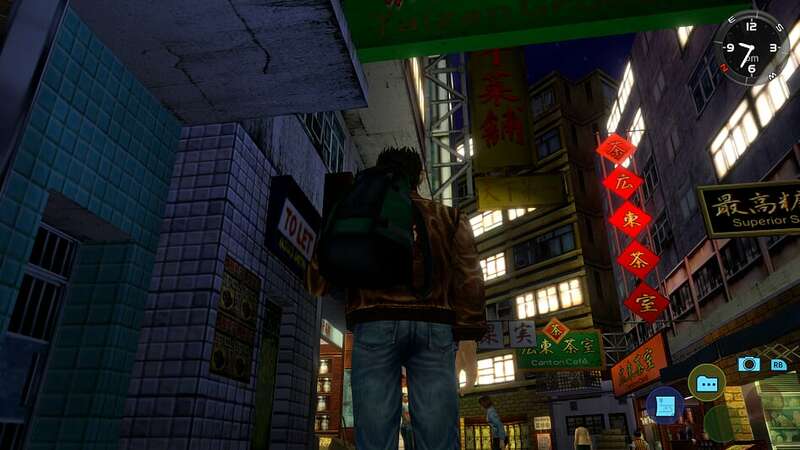 Shenmue places more of an emphasis on exploration and experiencing life in 80s Japan at your own pace. Shenmue II has a lot of the same game mechanics as the first, but the pace of Ryo’s journey is much more brisk. While I still loved exploring the backstreets of Hong Kong, Shenmue II is definitely more action filled than the first. Between the two games, it is by far my favorite. 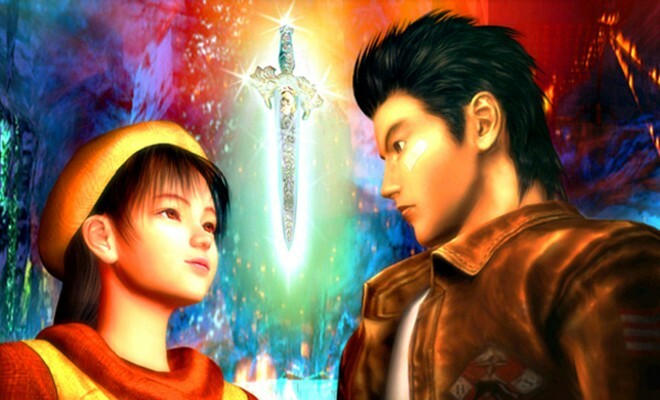 While Shenmue falls somewhere between a 4-4.5 for me, Shenmue II is a definite 5. The only game that has ever given me greater satisfaction than Shenmue II is my beloved Xenogears and I make a point of playing through it once every few years. The audio issues with these ports are definitely jarring, but the games themselves still hold up exceptionally well. Since patches to the PC versions seem to be given priority, I’d suggest playing those. There is also support for mods on PC. The console ports are all well and good, but in order to truly appreciate these games, I’d say go big or go home. If you’re looking for a unique experience and a world teeming with character, give Shenmue I and II a look. 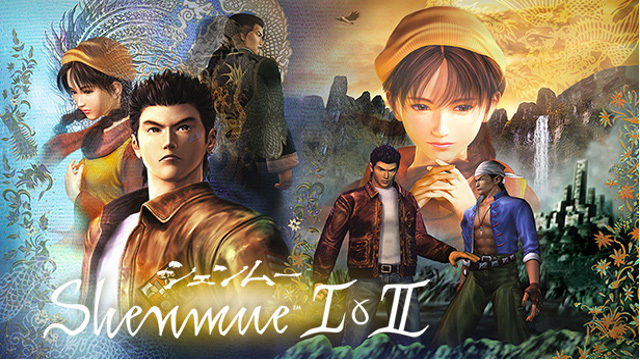 Shenmue I & II are available as one packaged title on Steam, PlayStation 4, and Xbox One. This package retails for $29.99. Physical editions include a reversible poster featuring the cover art from both games.